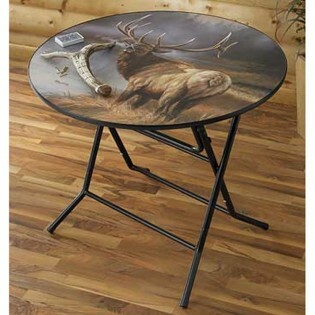 Great for the cabin, this casual table is always ready for playing games or extra seating at mealtime! 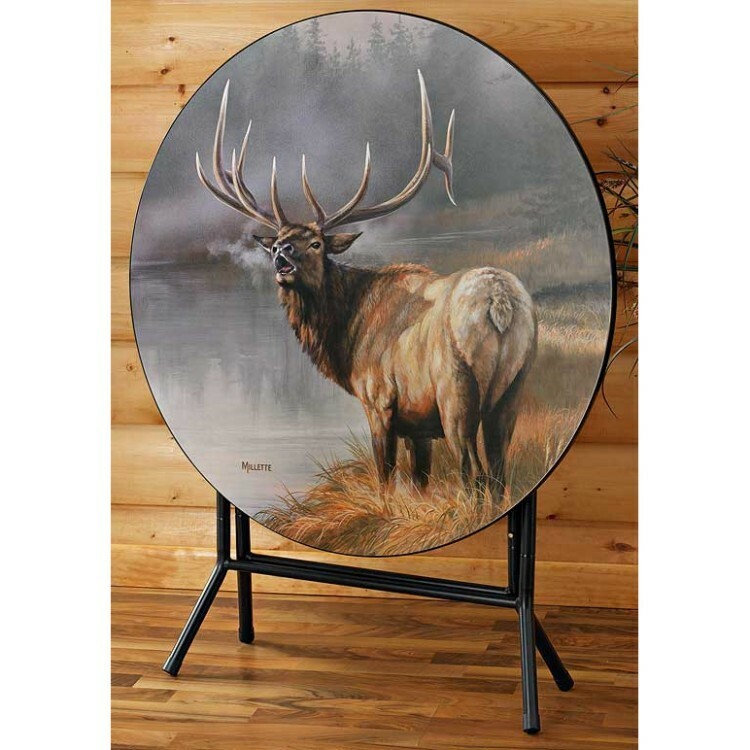 The Autumn Mist-Elk Folding Table features Rosemary Millette's magnificent art beautifully displayed, even when the table is in the folded position. 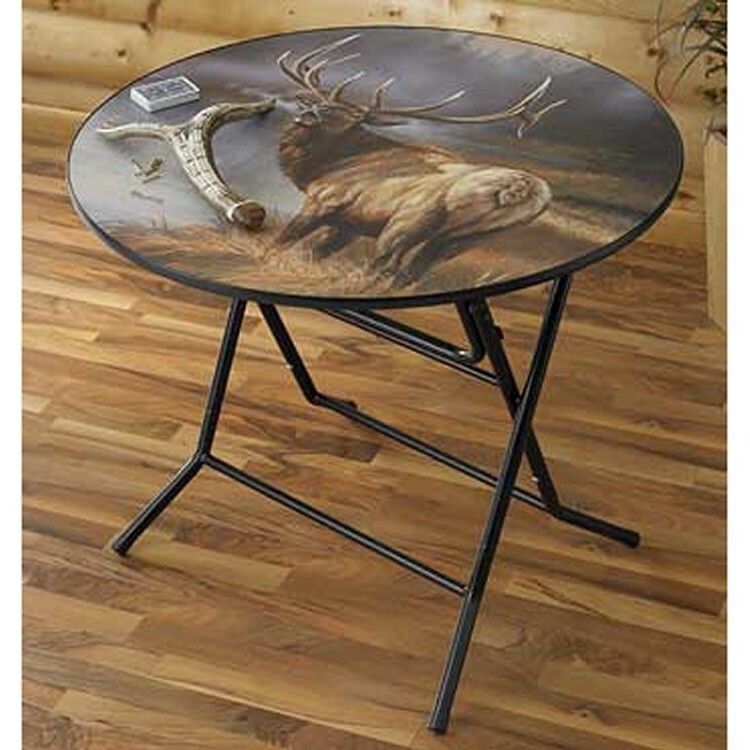 Great for the cabin, this casual table is always ready for playing games or extra seating at mealtime! The Autumn Mist-Elk Folding Table features Rosemary Millette's magnificent art beautifully displayed, even when the table is in the folded position. The top is a durable UV polycarbonate laminate with a non-glare finish. Base is tubular steel for maximum stability, folds to only 9" deep.